Introducing the stunning little Caramac! 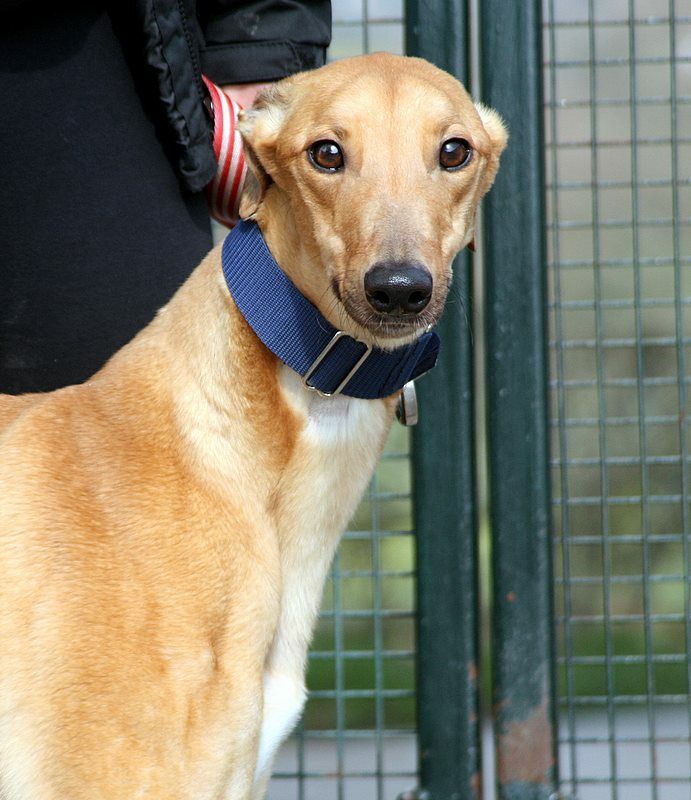 We adore this girl she is only just 2 years old and will make someone the most fabulous addition to the family. 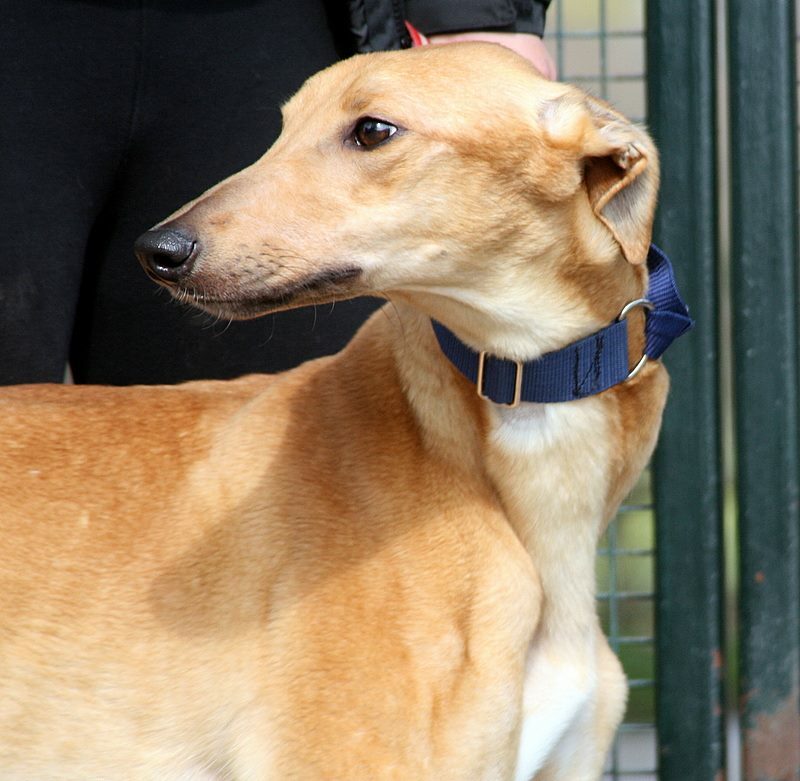 Caramac is a little shy and takes a little time to warm to you but once she does she is the sweetest, happiest waggiest little girl hence the shaved tail end after she dinked it wagging it off! 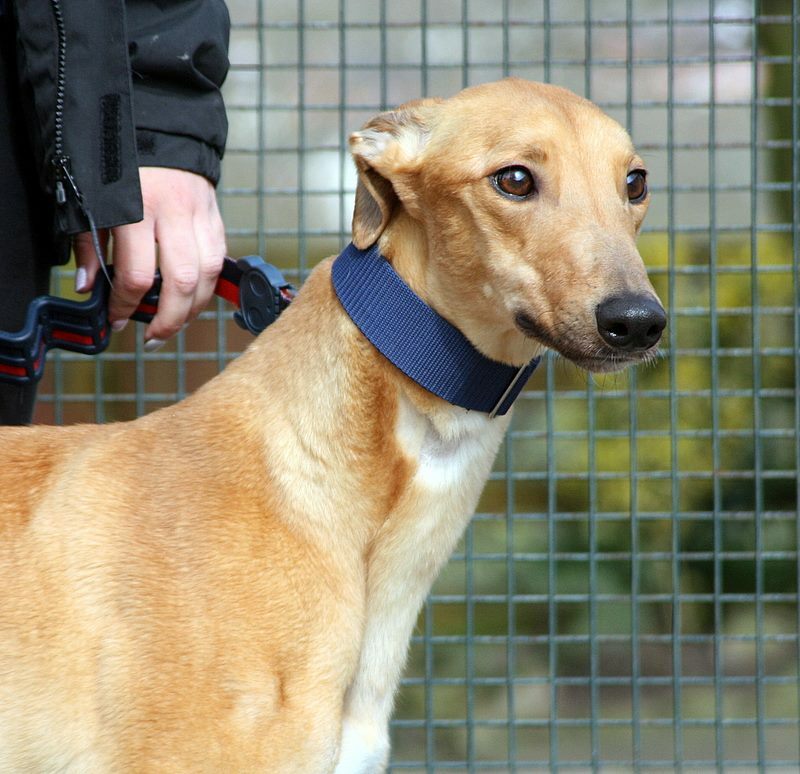 Thankfully now its all healed and she is ready to find a home of her own. 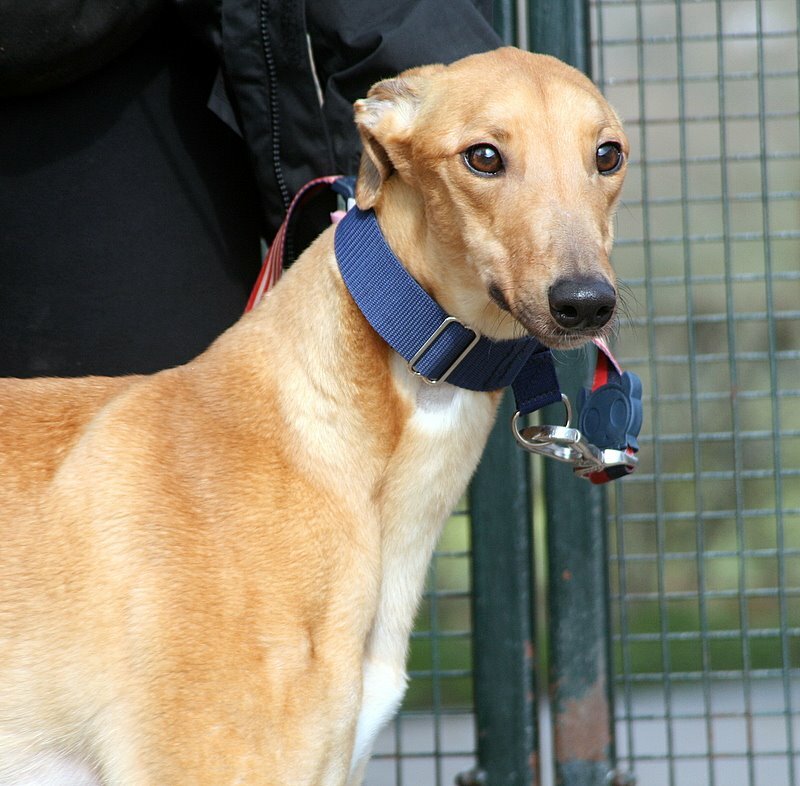 Caramac's main love is other Greyhounds well other dogs in general and she has been fine with all she has met. 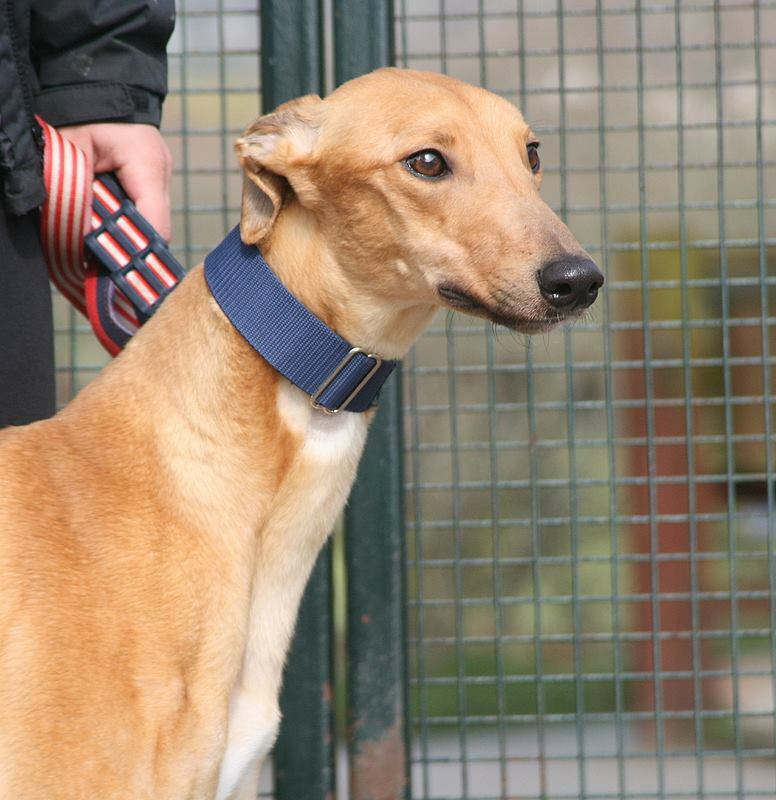 We feel she most definitely would flourish more in a home with other dogs around. She is a different dog when another dog is in her company and she forgets her slightly nervous edge and bursts out with a huge smile. She could be homed with male or females as long as the females were not to pushy or likely to upset her or boss her around. Out on walks she is a dream and constantly checks in with you and asks for a stroke on her chin or a tickle under her ear. She is still a little nervous around traffic or bangs but we are doing some road walking with her and its improved ten fold already, a bit of reassurance from her human is all she needs. 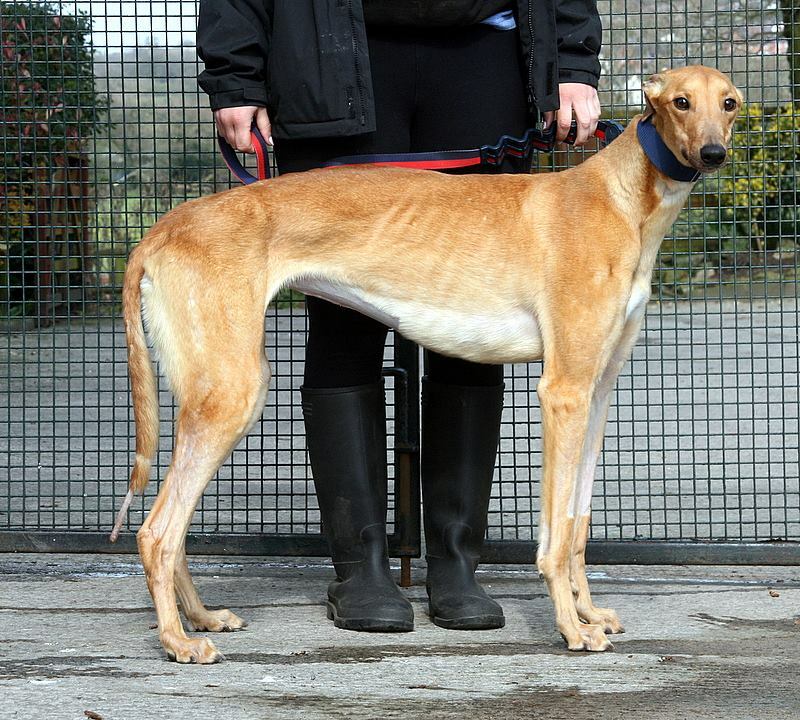 Caramac is currently here with us in kennels and she works hard to keep her kennel clean and is eager to please so we do not feel she would take much to housetrain and with the company of another dog feel once settled she would be fine to be left. 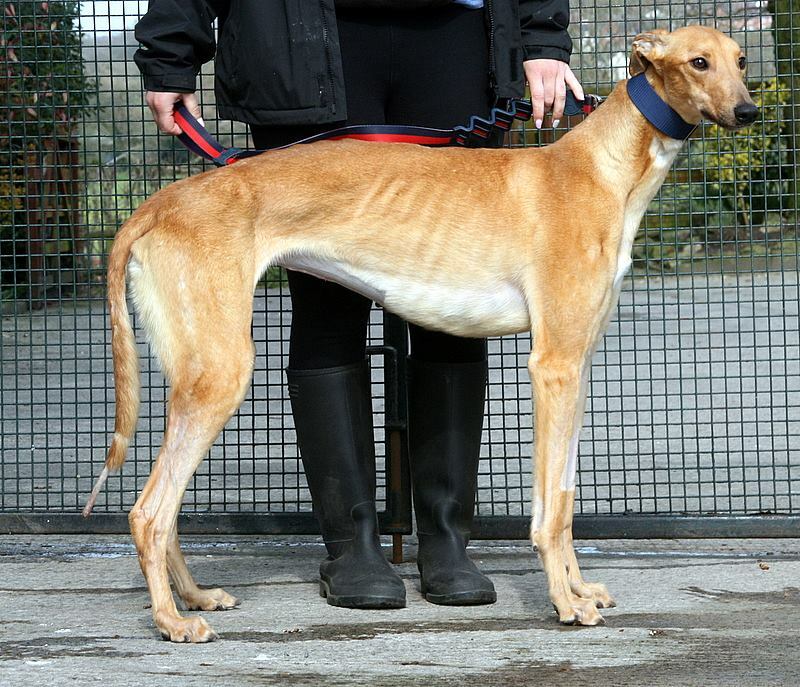 Caramac is vaccinated, kc vaccinated, de flead, de wormed, microchipped, spayed and has received dental and will be rehomed with one months free insurance from Pet Plan.